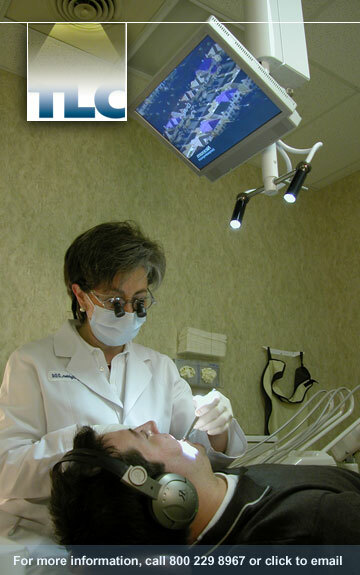 The Technology and Lighting Center (TLC) is the only overhead multimedia display that allows patients to comfortably watch TV, intraoral camera or computer images, videos, or movies. Plus the integrated fiber optic dental light shines in the patient's mouth - not in the eyes, providing an unobstructed, glare-free, heat-free experience. The name is a little odd....this equipment is the ultimate in making dental appointments more enjoyable! Through an integrated media hub, the patient can view through a 17” LCD monitor located directly above them, DVD’s or cable TV. Wireless headphones are used to provide sound and muffle the background noise. Why not be entertained while you sit back and have your dental work completed ?